Old Ethnographic Art has four major regions. Oceanic or Pacific Art includes all the islands of the Pacific Ocean and Papua New Guinea. African art includes all the countries in Africa but main not ancient Egypt. Native art is the name given to the art of North America and Canada. Aboriginal art is tribal art from Australia. The art from Indonesia is considered as Asian art although much of it is old Ethnographic art. Old Ethnographic art has numerous different object types. These objects include masks sculpture weapons and utilitarian objects. The most collectible old Ethnographic Art objects are sculpture and masks. I buy and sell old Ethnographic Art. If you have a piece of old tribal art to sell please feel free to contact me. If you just want to know what your antique Ethnographic art is or what it is worth that is fine. I am always happy to see new pieces. Although I specialize in Oceanic and Aboriginal Antique tribal Art I have good contact with experts in all fields. The most important factor in determining if a piece of old Ethnographic art is collectible is whether it is for indigenous use or made for sale. For every indigenously used piece of old Ethnographic art, there are a dozen later examples that are later tourist examples. Collectors of old tribal Art collect indigenously used pieces. Collectors tend to specialize in one art area because there is just so much to learn. Some may even specialize in one old Ethnographic art type like Aboriginal weapons or New Guinea masks. Oceanic art can be roughly divided into two regions. Polynesian art which is the most collectible and Melanesian which includes New Guinea and New Caledonia. Very little sculpture comes from Polynesia and even fewer masks. The Polynesian material tends to be more refined and better finished and is more valuable. 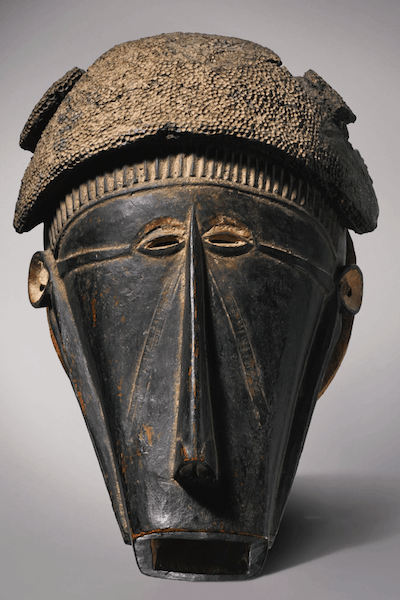 African art has the largest number of collectors. This is partly because so many European countries once had colonies in Africa. It is also because Africa produces more sculpture than any other area. Fakes are quite common if African art and these are not just tourist pieces but pieces made to look older than they are. Due to the number of high quality fakes provenance of pieces is often important. Africa material often has a very dark or black patina. Some of the oldest material oozes oil from generations of handling. Native American tribal Art can be roughly divided into three main groups. Plains Art consists mainly of weapons blankets adornments and clothing. NW coast art produces some of the most sort after sculpture and masks in all of Antique Tribal Art. Some of the best-known works come from the Tlingit, Haida, and Tsimshian. 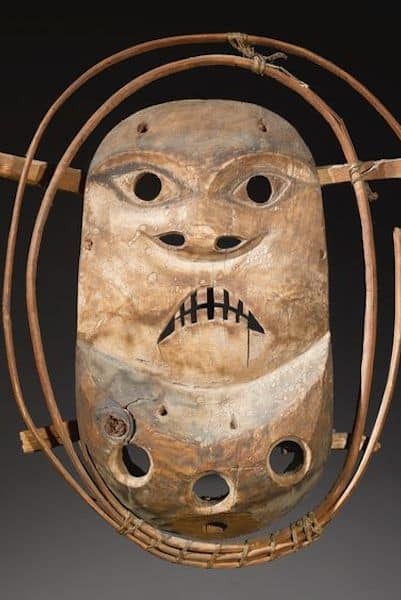 The Yu’pik produced some of the most haunting and collectible masks. Ancient Okvik walrus tusk sculptures are also rare and sort after. Aboriginal tribal art has relatively few collectors but these few collectors are passionate. The majority of collectible Aboriginal antique tribal art is weapons. Aboriginal art that is not old or indigenously used can also be very collectible but is not really Antique Aboriginal tribal art. Some aboriginal art is of a secret and sacred nature and is not shown at museums. It is often not traded in Australia but is often sold in Europe and America. Dayak art comes from Borneo in Indonesian. It is therefore technically Asian art but it has many of the qualities of Ethnographic art. Like ethnographic art from other areas, it has raw power and is more primitive. It lacks the refinement of many other forms of Asian art. It can be quite daunting to find out the value of a piece of old Tribal Art. It is best to find a person who specializes. Often dealers will pay well for pieces especially if they are old and indigenously used. Although I specialize in New Guinea and Aboriginal art I have great contacts for African and Native American pieces. If you are thinking of selling Authentic old Ethnographic Art then you should use a specialist. The majority of antique auctioneers do not know much about old ethnographic Art. As a result, they often describe things wrongly and pieces often drastically undersell. I buy many underpriced pieces of old ethnographic art from auction every year.